The Children's Home of Jefferson County operates more than 20 unique, client-centered programs focused on pursuing our mission: ''Creating opportunities to enhance lives one relationship at a time.'' We have grown to offer our services in Jefferson County, Lewis County, and St. Lawrence County. 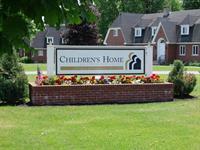 Our St. Lawrence County office offers a full range of Foster Care services. The Children’s Home of Jefferson County’s Foster Care Program provides both long and short-term services for youths unable to be cared for by their birth families or legal guardians. While receiving supportive care, counseling, and supervision, youths participating in the Foster Care Program are able to live within family homes, attend public schools, and be active members of their communities.